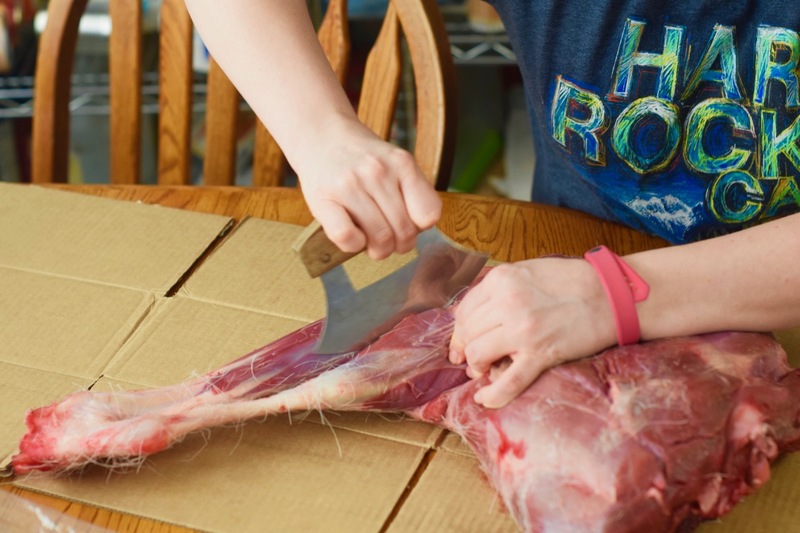 For many people in my village, calling caribou heart and tongue soup creative would seem ridiculous. But, I'm labeling it under Creative Cooking because it was my first time making heart and tongue soup of any kind, let alone caribou heart and tongue soup. 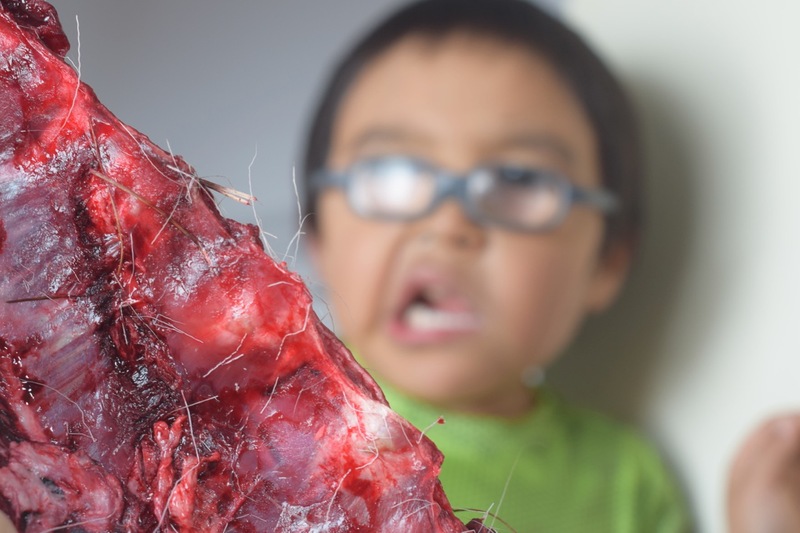 It all started when some friends dropped off a box of fresh caribou meat. I know how to deal with this kind of caribou meat. The knife I'm using is an ulu, which is Inupiaq for woman's knife. They're traditionally used for cutting meat in our area. They also make great pizza cutters. Note to readers: My students are extremely embarrassed for me because I'm using a cheap ulu I bought at Wal-Mart (basically shameless tourist bait). They are, in fact, so embarrassed that one of them is going to make me a proper ulu with an ivory handle. I'm really excited because I love ivory things. The box of caribou parts contained a few less familiar body parts. This is the jaw and the tongue. The tongue was long. Really long. The box also held a caribou heart. 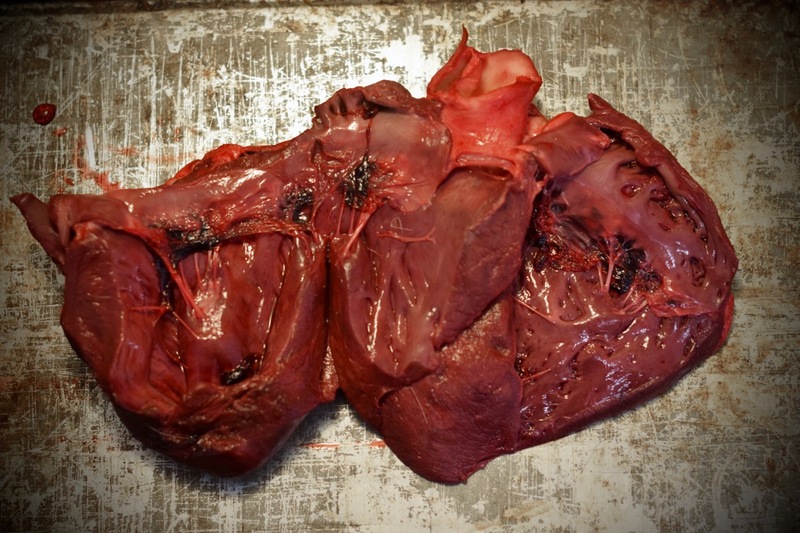 I was pretty sure this was precious, so I called Kaitlyn's gram and asked her what to do with caribou heart and tongue. I asked if I could put vegetables in it. She said, "You could." I asked if I could put noodles in it. She said, "You could." She told me to cut the heart and tongue up into little pieces. So I did. I sauteed some onions and carrots in oil before throwing in the heart and tongue. I also threw in some scraps from the other parts for good measure. I filled the pot with water and let it all boil for a while. 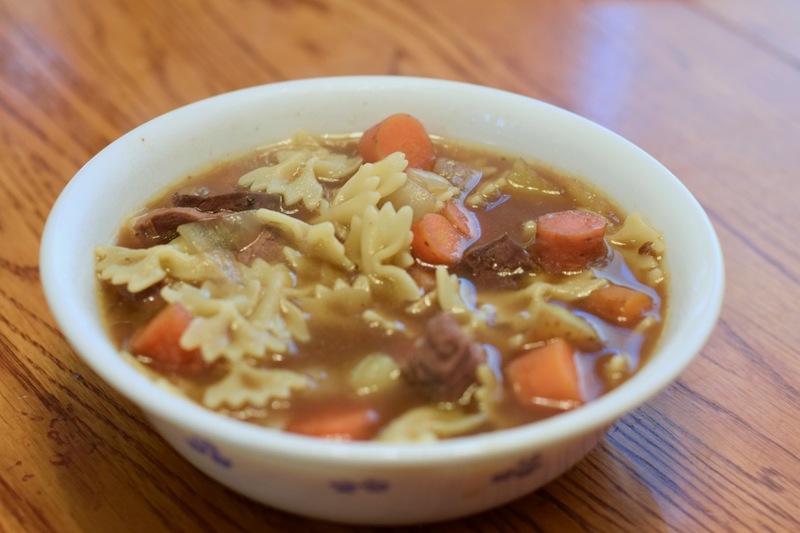 I wasn't happy with the broth, so I added a glob of beef Better Than Bouillon. That was probably a very un-Inupiaq thing to do, but there you have it. Full confessions of The Alaska Teacher. I also used farfalle noodles instead of spaghetti or macaroni noodles. That was probably un-Inupiaq too. This was the final product. I was nervous to try the tongue pieces, but they were really yummy. The texture was chewy, but the flavor was excellent. I couldn't even tell the heart pieces from the meat scraps I threw in. I'm calling this one a success. 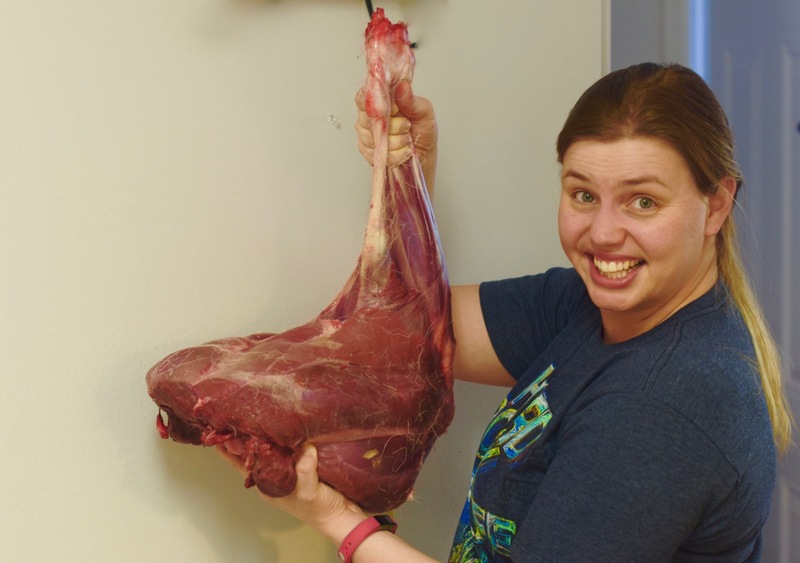 And I feel like I've made it through a rite of passage now that I know how to make my very own caribou heart and tongue soup.